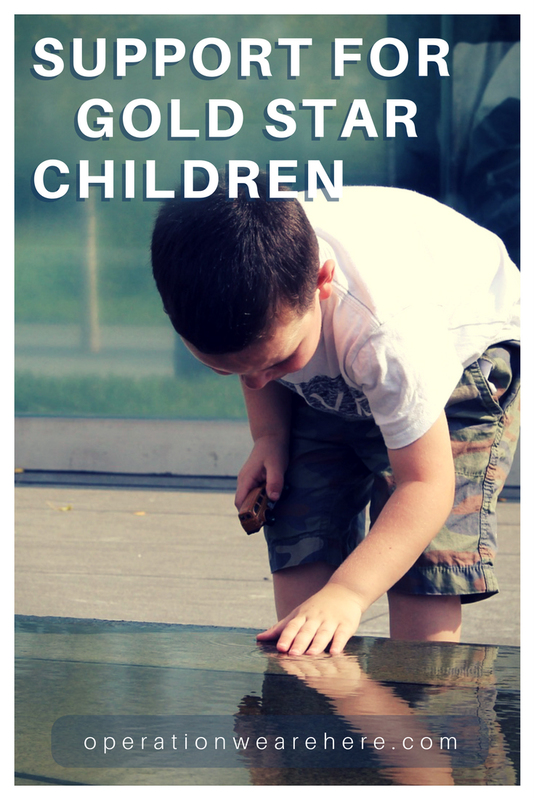 A Soldier's Child Birthday Foundation was established to stand by the children of the military men and women who have paid the ultimate sacrifice while protecting our lives and our country's freedom. Our benefits are available to the children, 19 years of age and younger, whose parent, from any branch of the military, lost his or her life while on active duty. With humility as parents, we aim to keep the legacy of the soldier alive by celebrating the birthday of his or her children. Recipients will receive a gift from ASC on each birthday through age 19. Project Linus comforts by providing handmade blankets to children in countries around the world who have survived the ravages of war and destruction. Post September 11, 2001, chapters all over the United States were providing blankets to children in New York and Washington to let them know someone cared. In January 2002, Marleen Manley, Coordinator of the Northwest Atlanta Chapter, believed this effort should be continued for every child who had lost a parent in the war on terror. She became the national coordinator in the effort to comfort the children of our fallen heroes with the gift of a handmade blanket. The task involves researching every soldier killed in Operation Enduring Freedom and Operation Iraqi Freedom to determine if they had children and if so, where they are currently living. Once determined, Marleen contacts the Project Linus coordinator closest to the family and provides them with information on the children in order for them to pick the perfect blanket. If there is no coordinator in that area, the Northwest Atlanta Chapter provides the blankets. Talk, Listen, Connect: When Families Grieve is a DVD resource kit featuring Elmo and the Sesame Street Muppets, and the courageous stories of families who have experienced the death of a parent. The bilingual (English and Spanish) kit includes a DVD, children’s storybook, and guide for parents and caregivers. The kit gives families tools to support children coping with the death of a parent, while also providing reassurance that together with their families they can learn ways of being there for each other and move forward. This Trevor Romain comfort kit for kids is centered on the Parents Choice Gold Award-winning DVD, What on Earth Do You Do When Someone Dies? The DVD uses gentle humor, original music, and a compassionate storyline to pass along practical and helpful advice for kids. Despite the serious subject matter, kids of all ages are enlightened and encouraged as Trevor's characters learn how to move towards grief instead of running away from it. Health Net Federal Services' children’s initiative launched to provide additional resources to help children successfully navigate the unique challenges of military families face. You may download the journals, save, print or link to the journals as often as you like at no cost. My Life Continued is a bereavement journal for military children who have lost a parent or loved one who served in the military. The journal is a private place to write down thoughts and feelings and was created to help children remember and honor their loved one and help them apply that love in a productive way as they move forward in their lives. We would love to provide bears to all of you who are mourning the loss of someone special. However, we are a very small group and are doing this just for fallen service member’s families and those who have died in the performance of their duties. Headquartered in Colorado Springs, Colorado, we serve children of our fallen military and first responders in all 50 states and U.S. Territories. Our mission is to help children of our fallen military and first responders develop into strong and successful adults by providing them positive mentoring and developmental activities when they are at their most crucial developmental phase of life. Our vision is to walk alongside the children of our fallen when they need it most, while they are developing, regardless of the cause of their parent's death. Many children fail to qualify for benefits, and fall through the cracks because of their parent's cause of death or unit of assignment. Each child suffers regardless if mom or dad died in a combat zone, training accident, on the job illness, or from suicide as a result of the stress of their jobs. From the child's perspective, the impact is the same, mom or dad is no longer there. No one can ever replace their lost parent, but we can be there for them. Rainbows is an international organization that offers training and suggestions for creating peer support groups within religious organizations, schools, and social organizations. Rainbows focus’ on grief within the family unit, especially that which may arise from the death of a loved one. Kids Aid is a safe place for kids to help each other deal with grief and loss. It's a place to deal with feelings in our e-mail support group, to share and view artwork and stories, and for parents and kids to ask questions and find answers. Additional information and resources on grief and bereavement can be found on our mother site www.GriefNet.org. The Got Your Back Network connects with military families who have lost a spouse or parent while serving our country. Our goal is to give comfort, answer a special need, offer guidance and bring a brighter day. The Sugar Bear Foundation seeks to honor and remember the legacy of Mario "Sugar Bear" Carazo by supporting surviving spouses and children. The Sugar Bear Foundation is a non-profit that raises funds for existing programs that support surviving spouses and their children. The VFW National Home for Children will provide children and families of members of the VFW, its Ladies Auxiliary and active-duty military opportunities for growth and development in a nurturing community, and by doing so, will serve as a living memorial to all veterans. Welcome to the online home of the most unique community in the United States of America - the VFW National Home for Children! The National Home is a multi-faceted facility created to care for the developmental, social and spiritual needs of the children and families of the Veterans of Foreign Wars. Services are also available for children of active duty military personnel. Our facility is not an orphanage, but a neighborhood of custom homes, service buildings and recreational land administered by a highly devoted staff and fully integrated into its surrounding community.